As a Scoresheet Baseball fantasy team owner, you will not only own and manage a team of major-league players, you will also experience the fun of seeing how your players do in real games, played at-bat by at-bat, inning by inning. 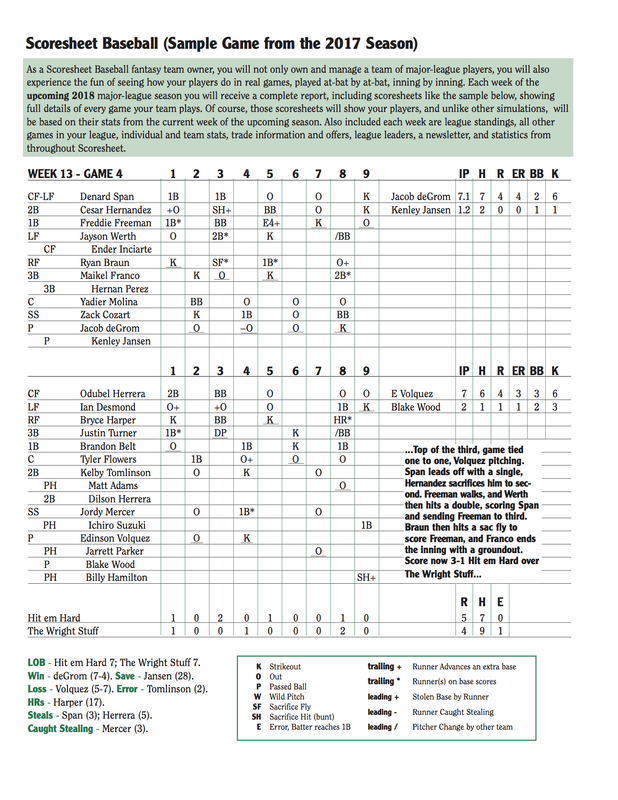 Each week of the upcoming major-league season you will receive a complete report, including scoresheets like the sample below, showing full details of every game your team plays. Of course, those scoresheets will show your players, and unlike other simulations, will be based on their stats from the current week of the upcoming season. 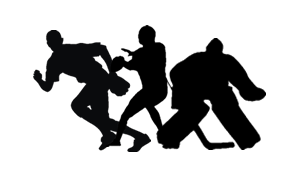 Also included each week are league standings, all other games in your league, individual and team stats, trade information and offers, league leaders, a newsletter, and statistics from throughout Scoresheet. You can also use our popular Score-It feature to play out each game just like it happened on the field!